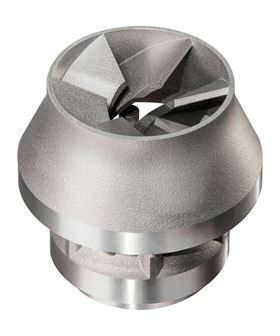 Materials Solutions manufactures Siemens burner heads. Siemens has acquired a majority stake (85%) in Materials Solutions Ltd, a specialist in additive manufacturing (AM) processing and production. The remaining 15% will be held by the founder of the company Carl Brancher. Materials Solutions, based in Worcester, UK, uses selective laser melting (SLM) technology to make metal parts. A specialty of the company is making turbomachinery parts, particularly high temperature applications for gas turbines. In August 2015, Siemens Venture Capital acquired a minority stake (14%) in the company that currently employs more than 20 engineers. Siemens uses AM technology for rapid prototyping and has introduced serial production solutions for rapid manufacturing of small fuel mixers and for rapid repair of burner tips for mid-size gas turbines. Siemens in Finspång, Sweden, already started using AM technology in 2009 and opened a production facility for metal 3D printed components in February 2016. This investment was the first step in the company's plans for mass manufacture and repair of metal parts with AM, Siemens says. The first 3D printed burner component for a Siemens heavy-duty gas turbine is in commercial operation in a power plant in Brno, Czech Republic.